Global Environmental is a key provider of risk management services to the commercial property sector. 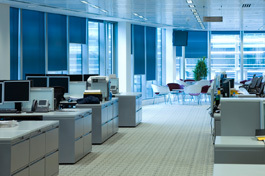 We offer a responsive service for all commercial property types e.g. offices, warehouses, retail/restaurant units and complex heritage sites allowing you to apply a structured approach to managing property risk and so reducing dutyholder exposure. Our comprehensive set of health and safety consultancy services facilitates the refurbishment and maintenance of property asset portfolios and allows you to address fire risk, waste management, asbestos, energy performance and water hygiene as part of your management planning. Special arrangements can be made for surveying listed buildings to enable heritage features to be protected while understanding the need to minimise impact on the local working environment.